The collect and readings for today, the Nineteenth Sunday after Pentecost, Proper 22B, may be found here. The following sermon is based on Mark 10:2-16. 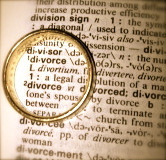 “Is it lawful for a man to divorce his wife?” Divorce is a question that affects all of us. Some of us have dealt with it in our own lives and marriages. Some of us have known the pain of our parents’ or child’s divorce. All of us, I suspect, know someone who is divorced or has been affected by divorce. It is a reality of our lives and our world. Sometimes divorce is necessary. Other times it comes too quickly and too easily, an escape from the hard work of being in relationship. Always, it is a spiritual and emotional tragedy with profound and lasting consequences for all involved. The Pharisees’ question, however, is not a pastoral question. It is a legal question, a test. Marriage in first century Palestine was an arrangement between families not a choice between individuals. It was more about an exchange of property, the woman, than it was about romance, mutuality, or personal fulfillment. In asking their question the Pharisees are not concerned about a woman in an abusive or dangerous situation. They aren’t asking about a young couple who through illusion, immaturity, or naiveté made a mistake in choosing to marry. They are not dealing with a marriage that has become spiritually dead, not only devoid of but destructive of life. They are not worried about the spiritual or emotional well being of the couple. Their concern is Jesus. They have been plotting “how they might destroy him” (Mark 3:6) ever since he and his disciple broke the law by plucking grain (Mark 2:23-24) and healing (Mark 3:1-5) on the Sabbath. The Pharisees already know the answer to the question they are asking. “Moses allowed a man to write a certificate of dismissal and to divorce her,” they answer Jesus. In their day marriage and divorce were the prerogative of men. Women neither married nor divorced. They were the objects and sometimes the victims of marriage and divorce. The Pharisees are not really concerned about marriage or divorce. They are more interested in Jesus’ answer. They are testing Jesus. Will he follow or reject the law of Moses? That is the context for today’s gospel. That is the context for Jesus’ words and they are not easy words. That context is not, however, a reason to either dismiss or relativize what Jesus says. It is, rather, a reason to take seriously what he says and to be discerning in how we apply it, lest we become just like the Pharisees. Jesus neither accepts nor rejects the law of Moses. He reinterprets and deepens it. Marriage and divorce are not about transactions but about relationships, people, and God. He recognizes the law of Moses for what it is, a concession to hardness of heart. Divorce happens. You know that. I know that. The Pharisees know that. And Jesus knows that. Despite this, God’s intention is that a husband and wife would become one flesh, that no one would separate them. Scripture and the Church view the marriage of husband and wife as representing the oneness of God and the union between God and humanity. That is why divorce is so spiritually painful and why Jesus seems so narrow and absolute in what he says. The Pharisees want to talk about procedure. Jesus makes the conversation about substance. For the Pharisees the issue is the state of the law. For Jesus the issue is the state of one’s heart. In that regard divorce is not limited to married persons. Divorce is an issue for everyone regardless of one’s marital status. Divorce happens in all those relationships in which we or another have become hard hearted. Hardness of heart is not simply a marital issue. It is a spiritual issue. It separates humanity from divinity. It divides husbands and wives, parent and child, brother and sister, Republican and Democrat, liberal and conservative, black and white, rich and poor, Christian and Muslim, Palestinian and Israeli. Hard heartedness is not simply about having differences. It’s about having no need of the other. Divorce is a symptom of heart disease. Wherever there is division and separation there is hardness of heart, our own or another’s. It is the reason the disciples tried to keep the children from Jesus. It is the reason the Pharisees could even ask their question to test Jesus. Before divorce ever happens between us it happens within us. We begin to live isolated, closed, and fragmented lives. We become fearful, defensive, and lonely. We can all give reasons for our many divorces. We can describe the fights, pain, fear, abuse, incompatibility, and differences of opinions, values, and dreams. We can name the failures and disappointments. We can recall what she said or what he did. They are real but they only justify the legality of our divorce. The reasons leave us stuck. They offer neither life nor healing but only survival. God offers and desires more for us than mere survival. The life and healing we desire is found in living with a soft heart. That’s a vulnerable and risky place to live. It’s the place and way in which Christ lived. As we examine and soften our hearts we discover that we have become “one flesh” with God. God has joined us to himself and no one can separate what God has joined together. There is no divorce that can separate us from the love, life, and presence of God. Divine grace fills all our relationships. It deepens our gratitude and joy in the relationships that are most intimate and life-giving. It gives us courage and perseverance to work on the ones that are broken. It offers us wisdom and strength when it is necessary to find a holy life separate from another. In each of these relationships Christ opens his arms to us and invites us to receive his blessing. The challenge of today’s gospel is neither marriage nor divorce. It is the work of examining our own heart; to name the places of hardness, to be open and vulnerable, to be willing to change and be changed. This is a profoundly pastoral sermon on a text that lesser priests might choose to ignore. Thank you. Br. James, you are most kind and tempt me to think more of myself than I should! I speak only as one who has glimpsed the hardness of his own heart. Next Next post: What is Blessing the Lord About?